Search engine optimization …. Search engine … huh? In the ever changing jungles of SEO there are a few basic concepts that remain constant. Applying these essential “good practises” can make the difference between your blog showing up in search results or not. Before we jump in, it’s important to understand how search engines work . A basic understanding will make what’s to follow very simple to grasp. No. I am not referencing a Star Wars character. The Google bot is software that add pages to Google’s index. You see, when you perform a search using Google or Google-ing as it’s commonly referred to. You are searching pages on Google’s servers. You are not searching the Internet. Crawling is the process where the Google bot goes from website to website looking for new updated information. It uses links to find new information and it reports what it finds back to Google. Indexing is the organization of the data collected by the crawling (crawlers). If the content is good quality, it’s added to Google’s searchable index. Now that we have a little more insight into how crawling and indexing works, let’s look at how to optimize your website and make it real easy for the Google bot to remember it. A sitemap is just that … a map. Your sitemap will list all your website posts and pages making it easy for Google to see what’s new on your blog. There are numerous ways to create a sitemap. You can create a simple txt document or you can use this tool to create an xml version and upload it to your website’s root directory using an ftp program. An easier way is to use a plugin. 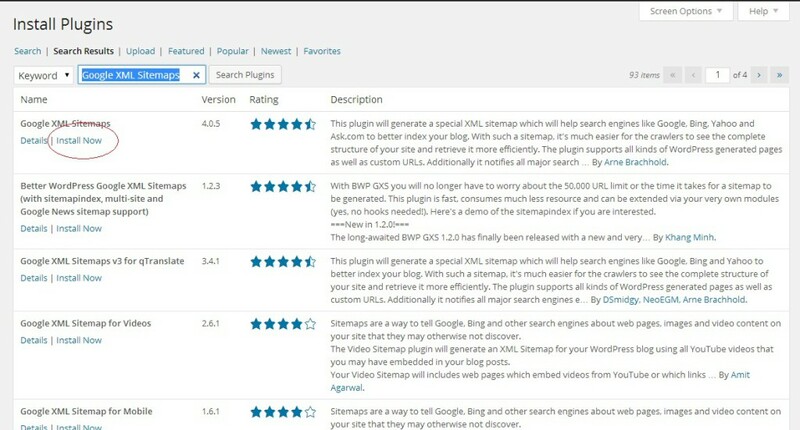 Once you’ve installed it navigate to settings XML-sitemap. Here you can see the URL of your map and configure what to include or exclude from the map. The default settings should be fine for a normal blog. Click the link to notify the search engines. Congratulations. You just built your sitemap and notified Larry and Sergey in the process. Good going. 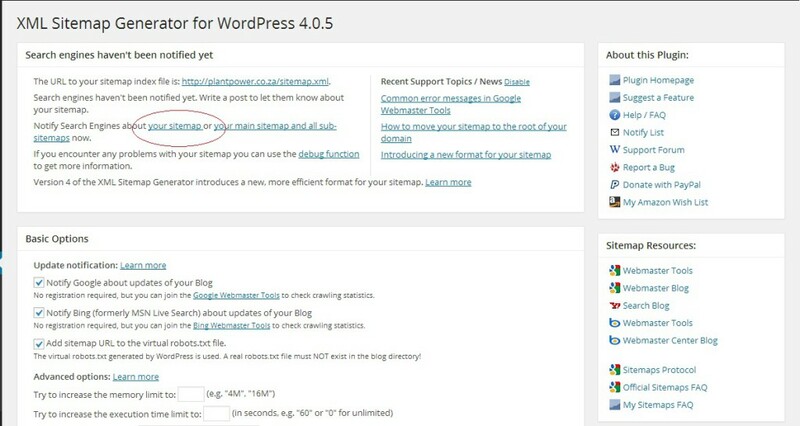 ← How to move from Blogger to WordPress in 4 easy steps.